The next Observatory Science Centre viewing evenings will be on Friday and Saturday 10th-11th January. See the events pages for details. 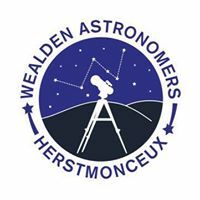 The next WAS members meeting will be held on February 8th 2014 at 7pm, The Observatory Science Centre, Herstmonceux. For a list of this years meetings please see the WAS meetings page. Members will be traveling as a group to the European Astro Festival, London. For further details, please see the January-March edition of Sirius News or the events page for further details.